Vanilla flavoured cupcake topped with butter cream icing. Laugh your way to luscious cupcakes! Magnificent in sizes, our vanilla flavored cupcakes are baked in sizeable muffin cases and topped with butter cream icing making them perfect for every cake lover. Your family, friends and loved ones deserve the best to savor to make each occasion significant with bright smiles. Our online cake delivery process is made quick and easy to give you a hassle-free online shopping experience so that you can keep coming back for more. 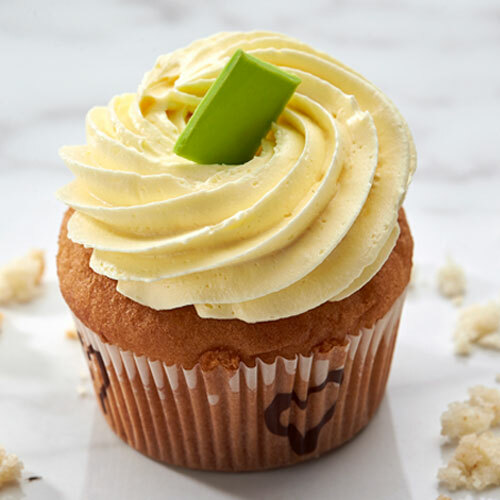 Buy vanilla cupcakes online by browsing a new and exclusive collection of chocolates, patisserie and cakes on our website. Besides our online cake shop in Bangalore, if you wish to take a bite while making your choice you are always welcome to visit our store in Bangalore. Surprise your loved ones, colleagues and friends, by gifting them delectable vanilla cupcakes from the selection at Smoor.